Bunching Onions are also called Japanese Bunching Onions, Welsh Onions, or Scallions. Harvest Bunching Onions carefully by gently pulling older ones up allowing the young onions remain in the soil to grow. 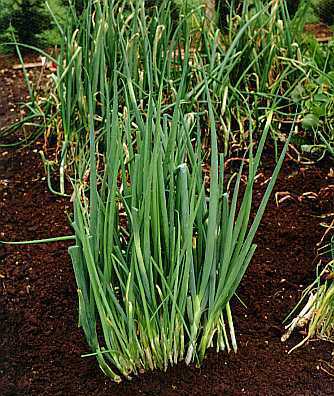 Bunching onions are mild and can be used fresh or like any green onions.